In 1977, John’s grandmother gave him $200 to start his college fund. Instead, John used the money to buy his first 35mm camera, and then he used the camera to put himself through college. 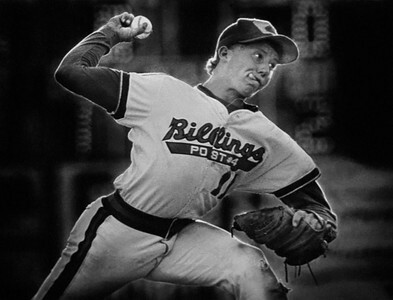 He earned a biology degree from the University of Montana, and became an award-winning photojournalist at newspapers in Florida and Montana. By 1982, he was ranked by the National Press Photographers' Association as one of the top newspaper photographers in the United States. But the frantic, deadline-driven lifestyle lost out to the more humble call of the natural world. Along this path, John worked as a biologist for many years – mostly with the National Park Service – working to conserve California Condors, Bald Eagles, and his favorite -- Harlequin Ducks. 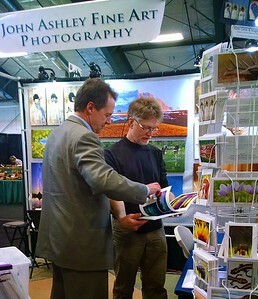 John completed the circle by combining both of his passions -- photography and conservation -- in the form of Fine Art Photography. 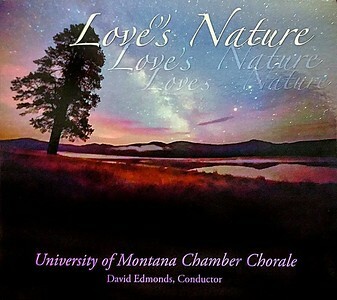 His images remind you of the natural beauty and humor that is inherent in wild places and wild critters. 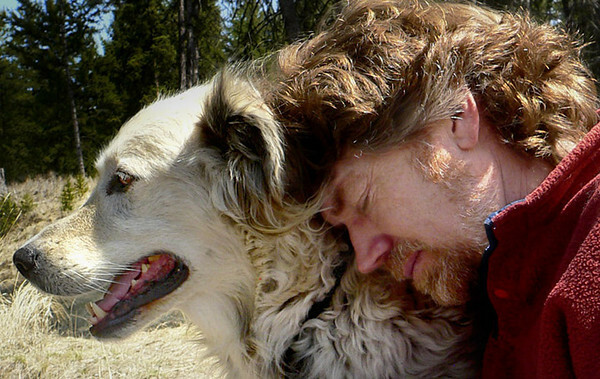 He lives with his wife and business partner, Tracy, and their two dogs at the end of the road just past the town of Kila, in northwestern Montana. 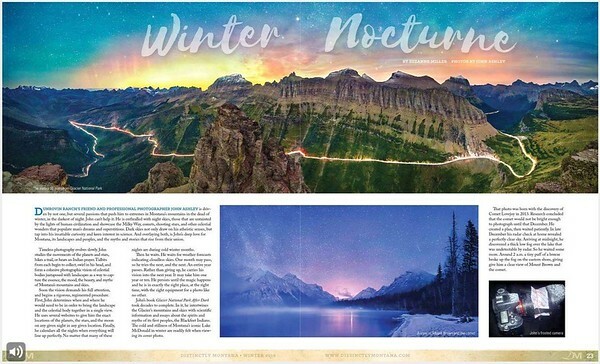 Story about my chilly photography in winter 2018 issue. 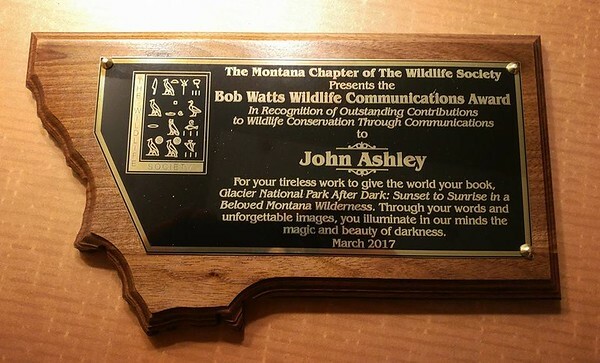 The Montana Chapter of The Wildlife Society presented me with the "Bob Watts Wildlife Communications Award" at the annual meeting in March 2017, in Helena. A high honor because it comes from my peers. 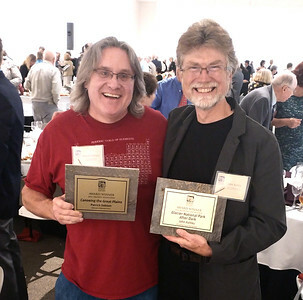 Patrick Dobson (left) wins Creative Nonfiction category with "Canoeing the Great Plains." 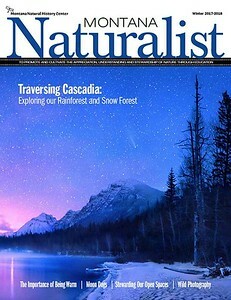 An I won Science & Medicine category with "Glacier National Park After Dark." 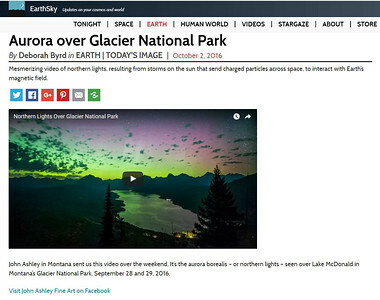 John's northern lights video on EarthSky. 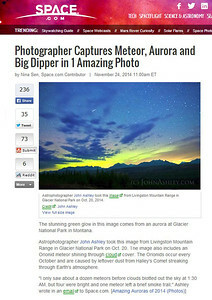 John's Orionid meteor photo on EarthSky. 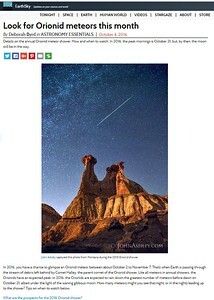 One of my night photos on the website, Space.com, in November 2014. 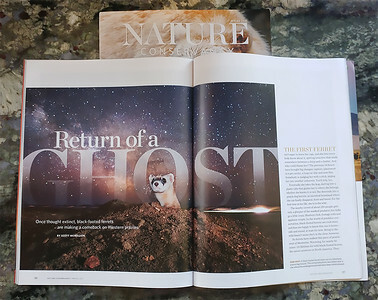 I love when non-profits and conservation groups find my images helpful to their causes. 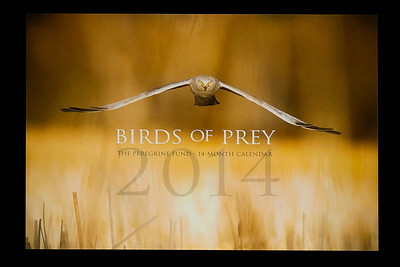 This was the calender cover for The Peregrine Fund, which has a lot to do with California Condor conservation - another bird I worked with many, many years ago. 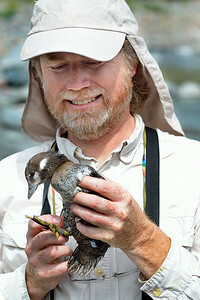 John giving a public program on harlequin duck biology and conservation. 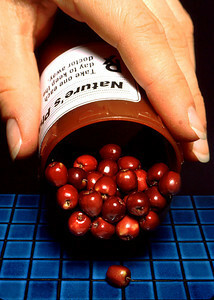 Prescription for "an apple a day"
Another one of those food illustrations. If Photoshop is a "bad thing," then what to make of this image, made with nothing more than a 35mm camera and a roll of Fujichrome film. It's a double exposure made in the camera. I carefully shot a roll of the hand and bottle. Then I re-rolled the film and shot the apples and tiles. One of my personal favorites was the result of noticing details. The pitcher only stuck his tongue out for the briefest instant during a pitch. I can just see this in my mind as a sepia toned watercolor painting with some old throwback baseball uniform. 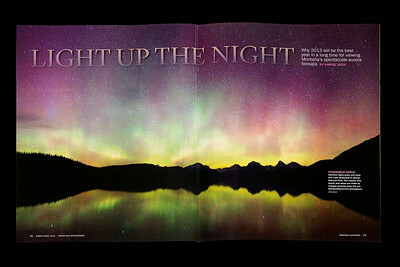 This northern lights image is a stitch of 10 photographs, two rows of five. It was a large file, and I didn't do any noise reduction on it. After seeing it reproduced stochastically at 360 dpi, I think noise reduction would have been a good idea. 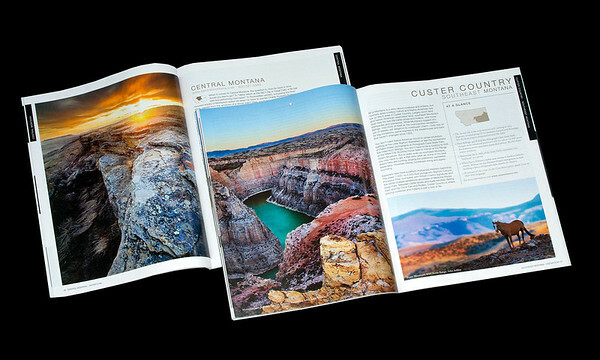 If you've ever done the tourist thing in Montana, you've probably crossed paths with my photographs without knowing it. 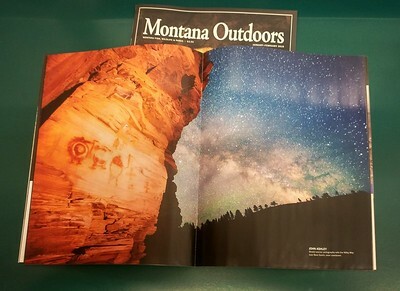 The left image is one of the longest buffalo jumps in North America, located in central Montana, and the right image is an amazing canyon in southeastern Montana. Bird banding is normally a one person job. But the new stainless steel leg bands are much harder to close than the old aluminum ones. This was part of a three-year research project in Glacier park that ended in 2013. Illustrating food stories used to be a favorite part of my job. An editor hands you pages of written words, and you have to read them and come up with an engaging visual that also tells the story. The other photographers I worked with hated food illustrations, but I took them as a creative challenge. Even though I was down with the flu when Tracy took this picture, it's one of my all-time favorites. We rescued Abbey at the local shelter, and she filled our lives with 16 years of wonder. Best dog I ever had. Best friend I ever had, of any species. 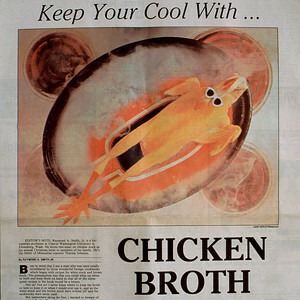 This was one of my first magazine covers, back in 1988. 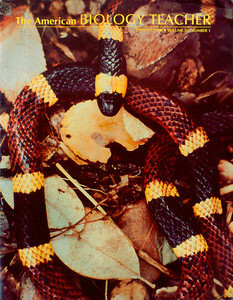 Coral snakes are poisonous, but they have small teeth that have a hard time puncturing skin, and you'd have to really try hard to make one mad enough to bite. Just the same, don't try it.. I was a young newspaper photographer not too long after light was invented. 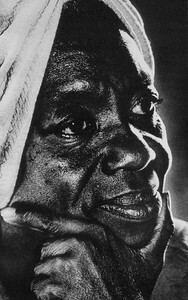 I shot a lot of Tri-X at every ASA I could coax out of it, but there were still situations where it wasn't enough - like photographing this beautiful black woman in the darkness of her living room while the reporter interviewed her. So this was one of the first times I used fill flash, dialed down as low as it would go. I still remember her real name - Bette Davis.